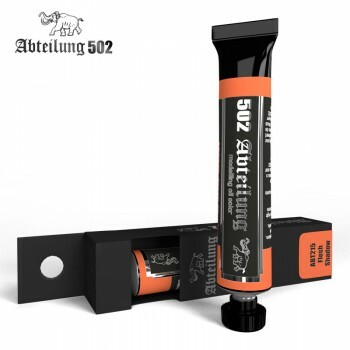 Abteilung 502 Flesh Shadow Oil PaintThis Abteilung 502 Flesh Shadow paint tube contains 20ml of high quality Flesh Shadow coloured oil paint.A colour especially formulated for the shadowing and lightening process on flesh. It will help us provide depth and subtle shadows. Its fine tone makes the skin look natural and realistic once the process is over. It is important to use with different tones when approaching painting a figure in order to achieve more intense and dramatic results.